Fill out the form to reserve your appraisal coupon today! Normally when getting a mortgage you are required to pay for an appraisal up to $500. 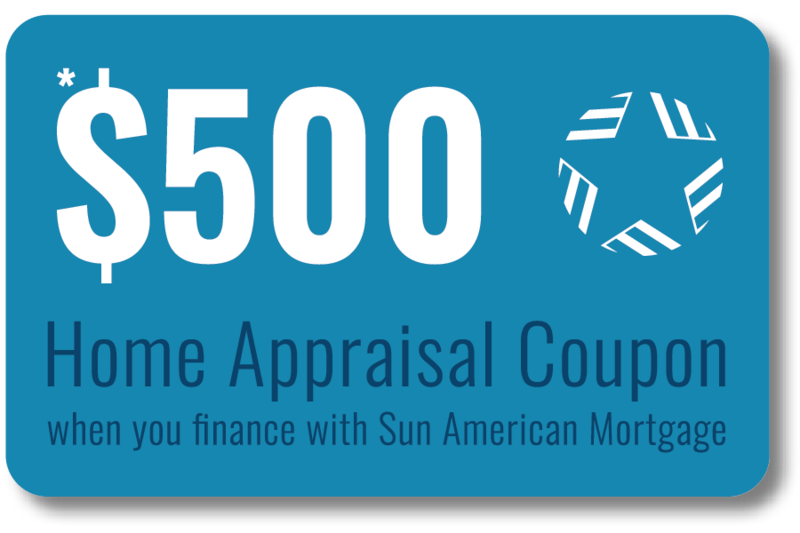 When you finance a home with The Staples Group at Sun American Mortgage, we will pay for the appraisal for you! *Free appraisal limited to a $500 value. No cash value or cash refunds on the difference. Typically, this lender credit ranges from $400 to $500 depending on which loan you qualify for. This credit is ONLY available for applicants whose subject property is in Utah or Arizona. Applicants must present coupon to the Sun American Mortgage loan officer at time of application. Only loans closed and funded by Sun American Mortgage are available to receive this lender credit. Offer expires on 12/31/2021. Company NMLS# 160265.